Just weeks after the new poster debuted, Well Go USA has released a new trailer for Phantasm: Remastered, a new 4K restoration of Don Coscarelli's original 1979 classic. The film will hit theaters across the country as part of Art House Theater Day on September 24, 2016, and will be released on VOD platforms October 4, before debuting in theaters in select theaters on October 7th. As you can see in the trailer below, this horror classic looks better than ever with this new restoration. Since its release in 1979, director Don Coscarelli's epic tale of the Tall Man, his deadly silver Sentinel Spheres, and the group of small-town friends who must band together to stop his dimension-hopping schemes has captivated and terrified horror and sci-fi fans around the world. An immediate success, bringing in 40 times its production budget, the film has influenced generations of filmmakers. Thirty-seven years later, Phantasm has been finally restored to its original glory by J.J. Abrams' Bad Robot and Coscarelli, with a stunning new 4K remaster and 5.1 surround sound mix from the original elements that ensures Phantasm will be around to scare the hell out of generations to come. The residents of a small town have begun dying under strange circumstances, leading young Mike (Michael Baldwin) to investigate. After discovering that the Tall Man (Angus Scrimm), the town's mortician, is killing and reanimating the dead as misshapen zombies, Mike seeks help from his older brother, Jody (Bill Thornbury), and local ice cream man Reggie (Reggie Bannister). Working together, they try to lure out and kill the Tall Man, all the while avoiding his minions and a deadly silver sphere. The trailer debuted on iTunes Movie Trailers earlier today. We reported earlier this year that Angus Scrimm passed away at the age of 89. 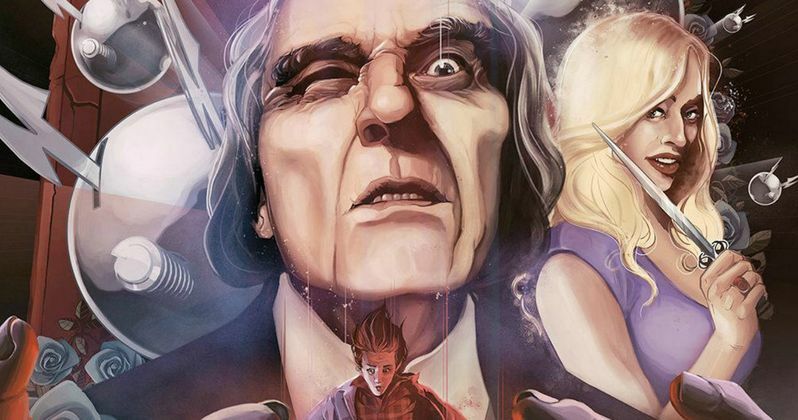 Fans will be able to see him in his final performance as The Tall Man in the franchise finale Phantasm: Ravager, which also debuts on VOD formats before hitting select theaters October 7. Production had taken place in secret over a two-year span before filming wrapped and the project was officially announced back in the spring of 2014. Well Go USA recently acquired the rights to the entire franchise, with the studio announcing plans even more plans for this franchise. Well Go USA will release never-before-seen restorations of HD restorations of 1994's Phantasm III: Lord of the Dead and 1998's Phantasm IV: Oblivion. The Phantasm series will be available in remastered, high-definition versions across all cable and digital platforms. A Blu-ray and DVD Collector's Edition Set of the Phantasm series will follow later this year, along with individual Blu-rays and DVDs of Phantasm: Remastered and Phantasm: Ravager, all of which will be packed with special bonus features. Take a look at the new trailer for Phantasm: Remastered below.